Well, speculation has been running wild, really for the past six to twelve months if the truth be known ... Will Queensryche, with Geoff Tate on lead vocals, continue? The answer, catagorically from the other band members is NO! 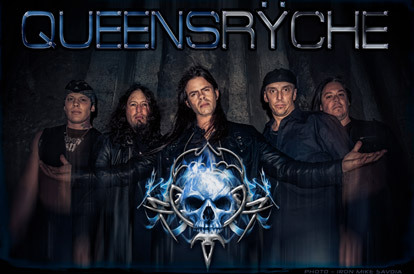 The band have even released an updated photo ..., of Queensryche, featuring Todd La Torre! The 'new' Queensryche June 2012, with Todd La Torre! 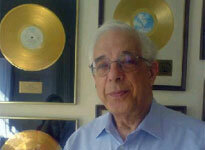 At the time of this update, it was just breaking that the founder of Bronze Records, Gerry Bron had passed away. to say that Gerry had passed away! and our thoughts are with his family! He was quite the well known and respected character. RIP Gerry Bron, our thoughts and prayers go out to your family. 'We were all saddened to hear the news from Canada that Scott Johnson has died while working on the Radiohead tour. Scott had previously been a member of the Uriah Heep technical crew, and we all recognized Scott's consummate professionalism, and cheerful disposition, as he effortlessly dealt with life on the road. We are gutted, and our thoughts are with Scott's friends and family. RIP Scott, our sympathies to your family also.